While inspecting preparations for the event, slated for September 11-13 at the National Convention Centre in Ha Noi, the PM said this is an opportunity for Vietnam to affirm its aspiration for a higher position. PM Nguyen Xuan Phuc exchanges about the preparation for WEF ASEAN. He said it is a need to step up communication work to popularise activities relating to the meeting as well as promote the image of Vietnamese land and people. Attention should be paid to both the opening ceremony and related discussions, he said, stressing absolute safety during the event, with focus on health and sanitation issues. According to Deputy Minister of Foreign Affairs Bui Thanh Son, six Presidents and Prime Ministers and three Deputy PMs are expected to attend the event. Up to 970 people have registered for the meeting as official delegates, raising the total number of participants to nearly 1,200. About more than 300 domestic and foreign reporters will come to cover the important event, he said. 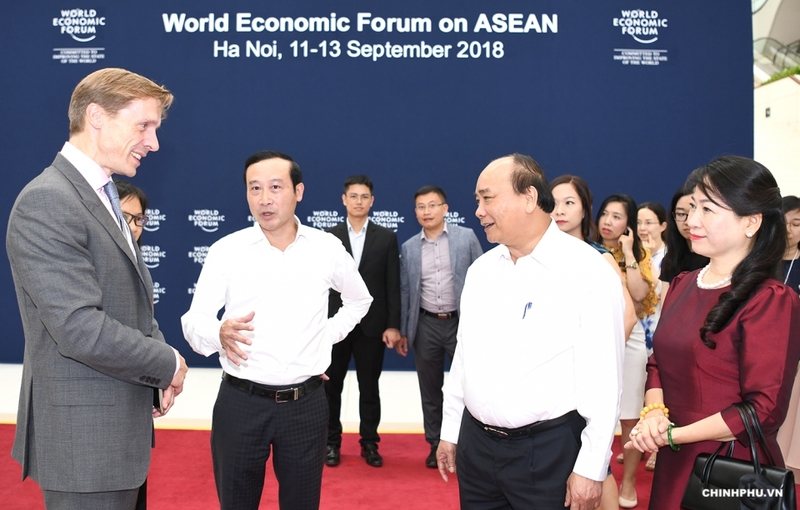 In 2010, Vietnam hosted the World Economic Forum on East Asia for the first time and over the past eight years, the country has obtained remarkable economic achievements, including the GDP per capita rising from 1,160 USD in 2010 to 2,385 USD in 2017. Founded in 1967, ASEAN groups together Brunei, Cambodia, Indonesia, Laos, Malaysia, Myanmar, the Philippines, Singapore, Thailand, and Vietnam.